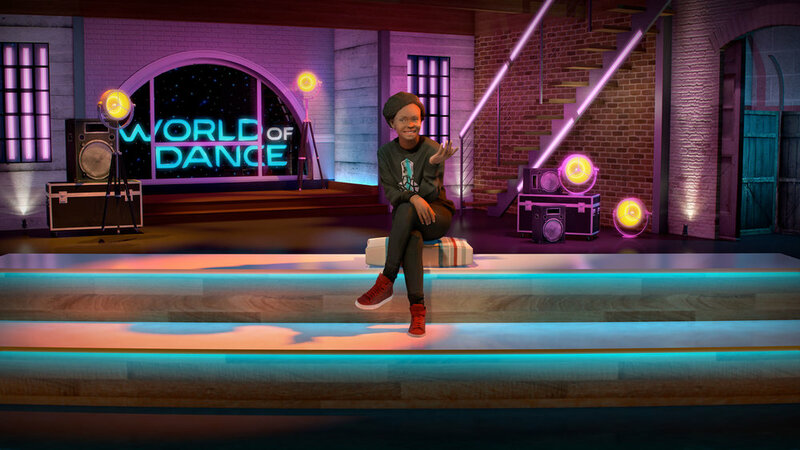 Concept renderings of two interview areas for World of Dance season 2, created with Vectorworks. Watch online at nbc.com. 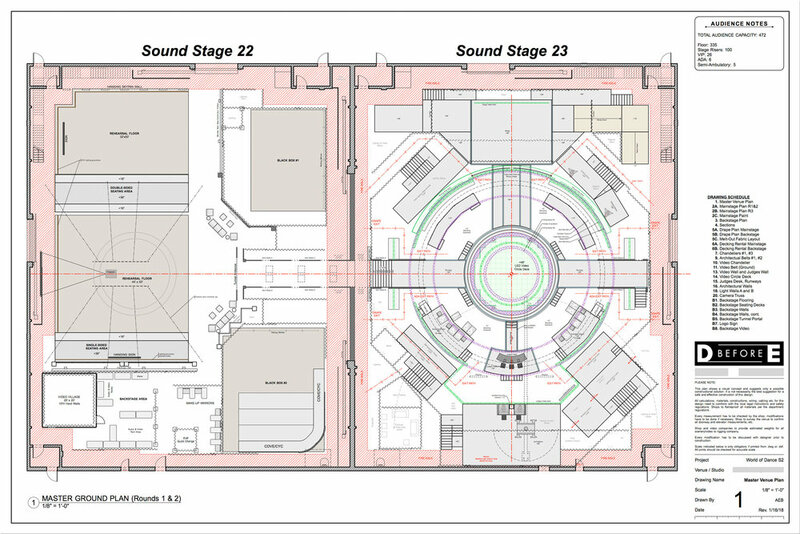 Design by David Edwards - D Before E.
Master ground plan for two of the four sound stages used in Season 2 of NBC's World of Dance. Drafted in Vectorworks. Design by David Edwards - D Before E.
Concept rendering for one of the confessional spaces for season 17 of FOX's Hell's Kitchen. Created in Vectorworks. Art direction by Scott Moses and Erin Vizcarra. 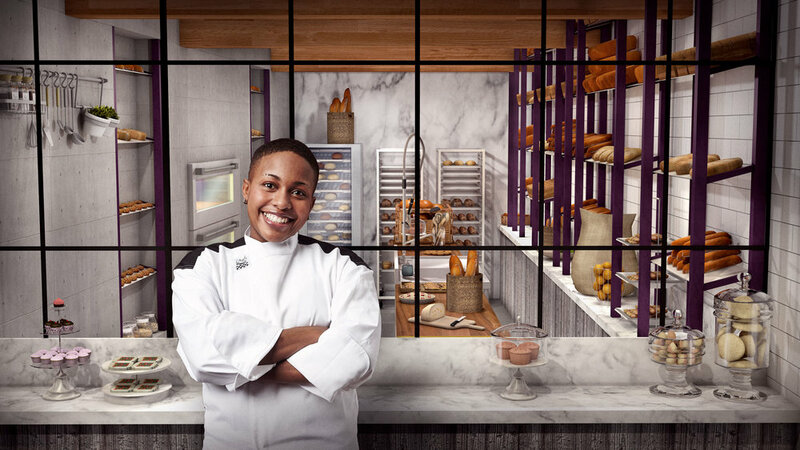 Concept renders for the Black Jacket Lounge featured in season 18 of Fox’s Hell’s Kitchen. Chris D'Elia: Incorrigible (stand-up comedy at the Wiltern Theater). Vectorworks & Photoshop rendering. Available here on Netflix. Copyright Bruce Ryan Production Design. Concept renderings for Wargaming.net League's World of Tanks show. Vectorworks and Photoshop. Copyright Bruce Ryan Production Design. Drafting example from MTV's Ridiculousness. Copyright JHD Group. Groundplan for outdoor concert stage near Times Square in New York, for live music performances in conjunction with the premiere of MTV's Total Request Live. Drafted in Vectorworks. Design by David Edwards - D Before E.